An early morning departure from Heathrow Terminal 5 (08.30), and first class check in zone was quiet at 06.30. After collecting boarding pass, proceeded through the direct first class security channel and straight into the BA lounge lobby. The Concorde Room is reserved for first class customers and was not busy. Breakfast was being served and had a quick snack that was of a reasonable standard. It has to be said that the waiting staff working inside the lounge are a lot nicer and more cheery than 2 fairly grumpy and unhappy BA staff at the lounge entrance. By 2017 premium first class lounge standards the Concorde Room has nothing special to offer, and the furnishings are looking rather tired and lacking any proper variety of seating, workbench areas etc. Departure from Gate B38 in the first satellite building, and this is about a 10 minute trip from the BA lounge. On arrival at the gate the staff made an announcement that due to some security checks on the aircraft, boarding would be delayed about 15 minutes. Once boarding started it was reasonably orderly, and the flight was certainly well below capacity in passenger numbers. On entering the plane, very polite staff in the central galley escorted me to my seat. The first class cabin staff then took over, helping to stow my jacket, and offering a choice of boarding drinks – champagne, Bucks fizz, juice or water. 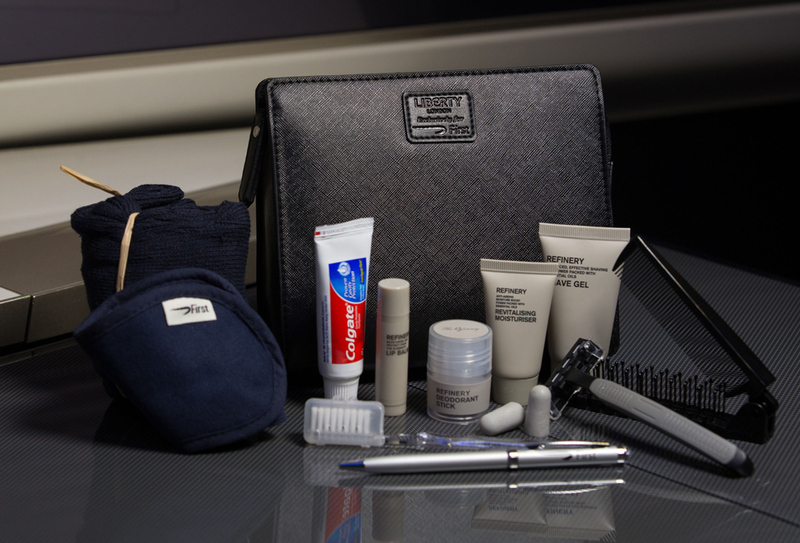 A few minutes later, the pyjamas and amenity kit were served. My seat area and general cabin items seemed reasonably clean, as was the washroom when I changed into my pyjamas before departure. Surprisingly no hot or cold towel is provided to first class customers during the boarding process. This flight was operated by a rather aged Boeing 747-400. I was travelling in First class, seated in a single window seat, 4K. There was just 1 empty seat in this cabin that has 14 seats. First class customers are allowed 3 checked bags (max 32kg / 70lb per bag). Hand baggage allowance is 1 handbag/laptop bag (max. 23kg up to 40x30x15cm), plus 1 additional cabin bag (max 23kg up to 56x45x25cm). There are 14 seats in this cabin, 10 single and two sets of double seats. It does feel a little cramped with this number of seats, but once settled into 4K, there is reasonable privacy. 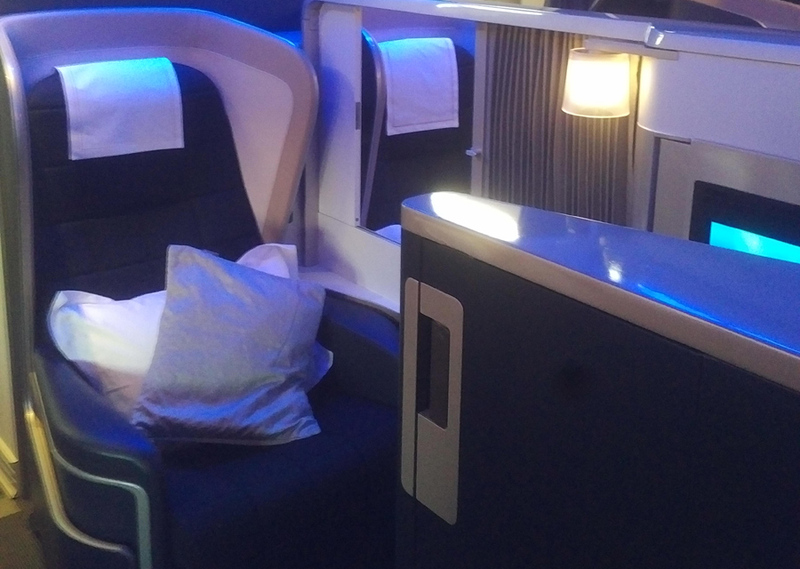 The seat width is okay, but compared to some higher end first class products, in the flat bed position this BA first class seat is somewhat limited widthwise in the foot well area. The window blinds are electronic with the tinted window covers still a feature of this first class cabin. 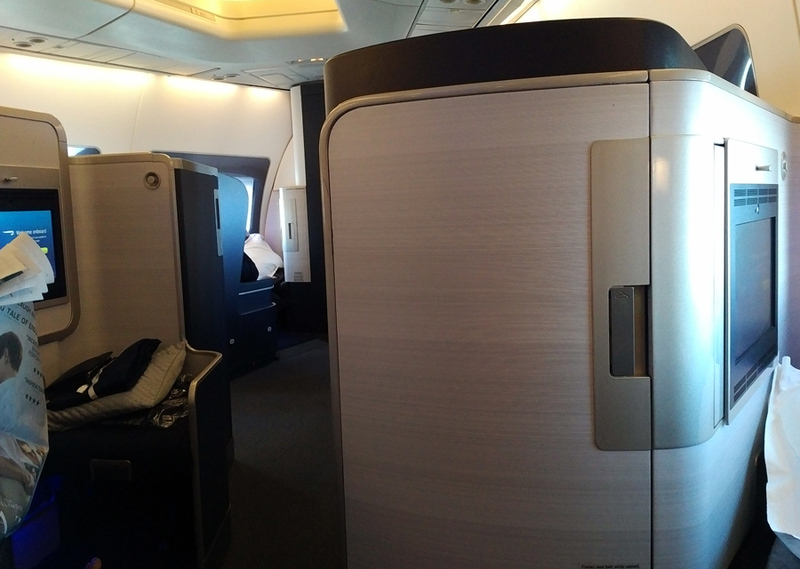 Two toilets are located at the rear of the First Class cabin, with Aromatherapy Assocs products. The washroom equipment is looking rather dated and tired and below expected quality levels. The flight departed about 35 mins late, but arrival into New York JFK was 10 mins ahead of scheduled arrival time. 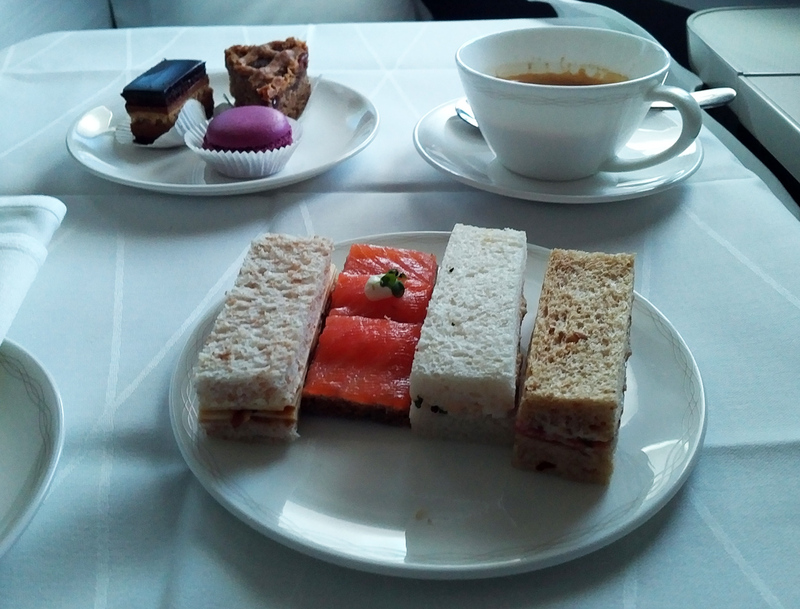 This 08.30 departure serves a breakfast shortly after departure, and an afternoon tea service before arrival into JFK (scheduled at 11.10 local time). The standard of breakfast was reasonable, with warm and tasty breads and pastries offered twice, fresh fruit and yogurts also served, hot entree offers the choice between savoury and sweet items. 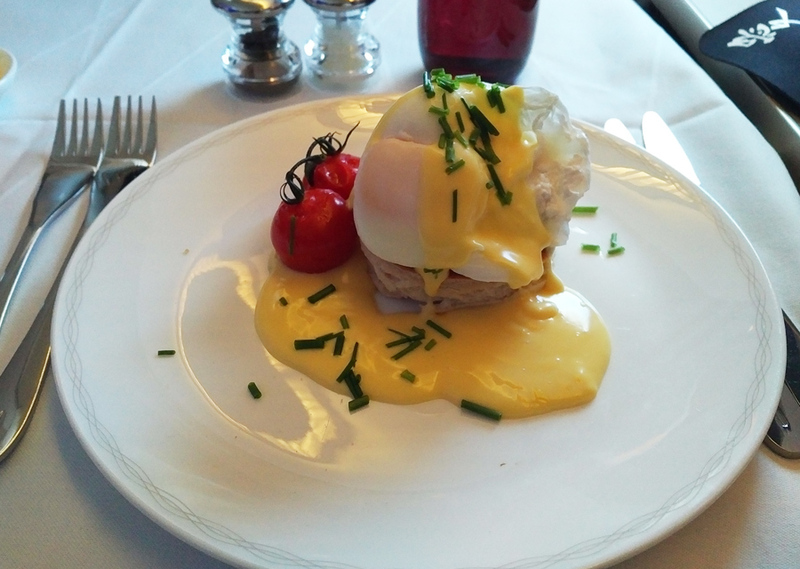 The only disappointment was selecting a rather poor standard poached egg Florentine that did not meet first class expectations. 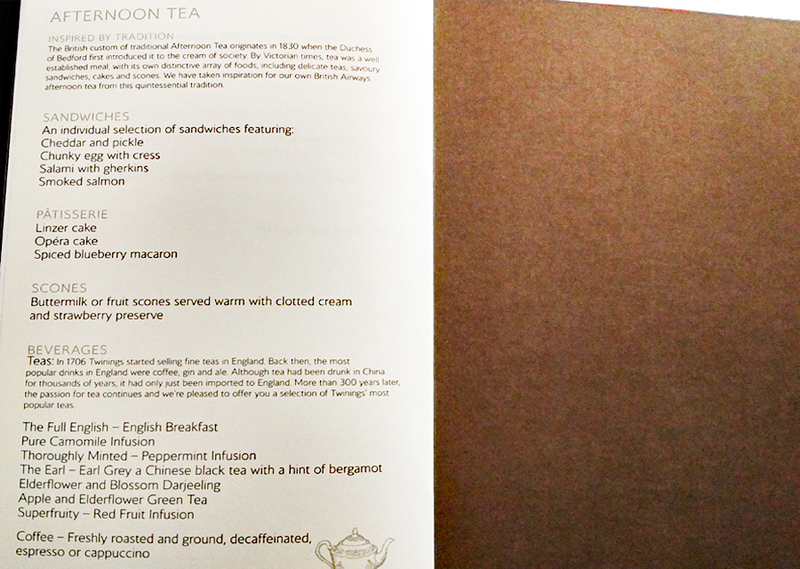 Excellent choice of tea is provided and coffee standards were also good. 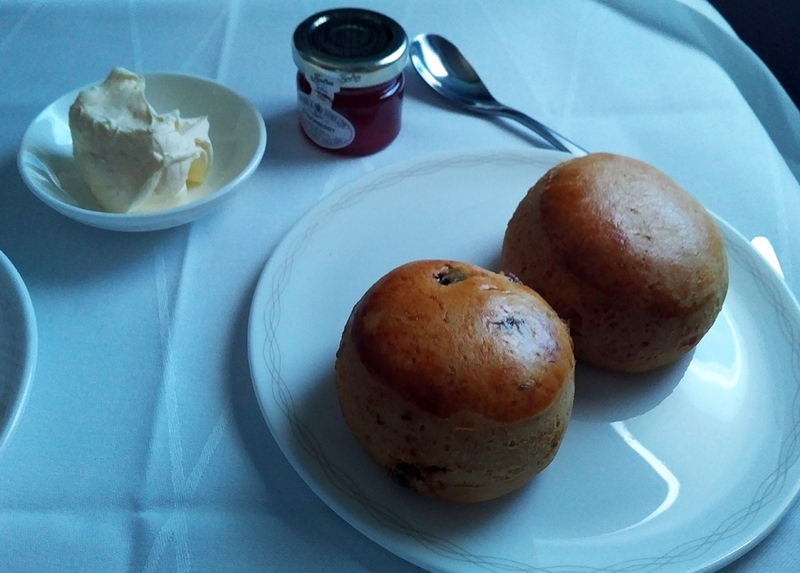 The pre-arrival afternoon tea offered finger sandwiches, a plate of sweet cakes and scones with clotted cream and jam. All of this was to a reasonable standard, and nothing to complain about. 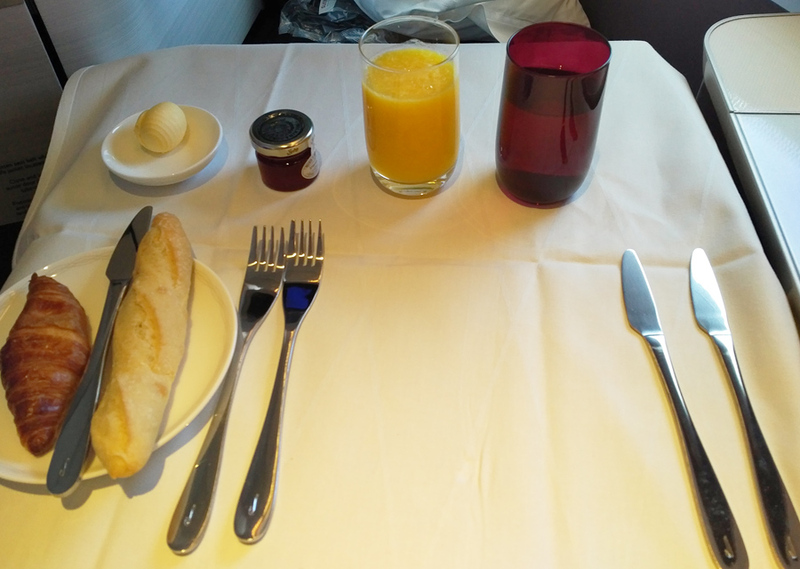 The visual presentation for the foods is reasonable, and any shortcomings in the food were made up for excellent cabin crew service. 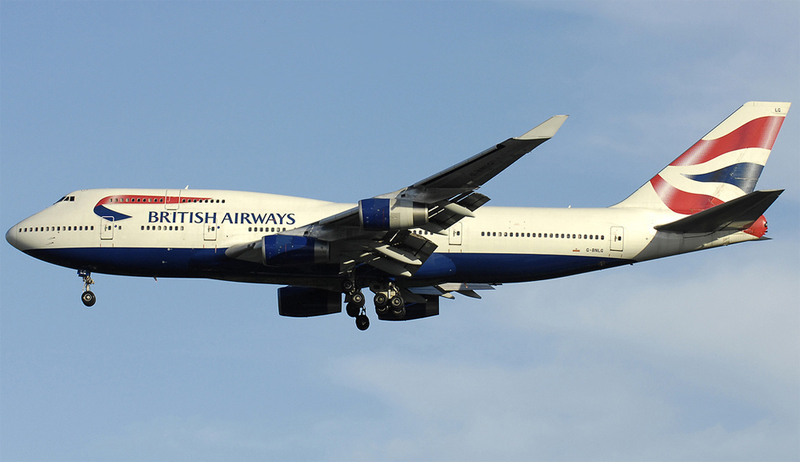 The choice of inflight entertainment is good compared to many competitor airlines, and BA offer a good choice of movies, documentaries, features and box sets of popular TV series. 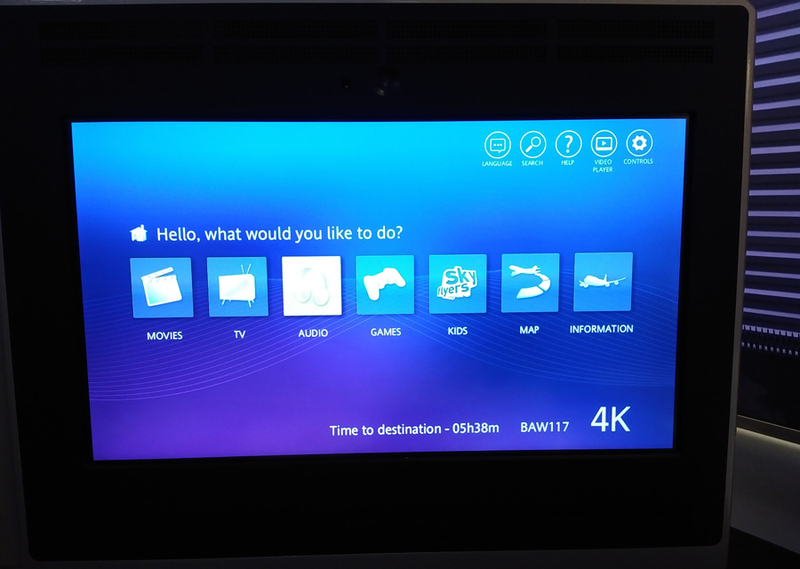 The system is available from boarding to arrival, but IFE screens in first class have to be folded / locked away for take off and landing so one cannot benefit from this gate-to-gate IFE option. 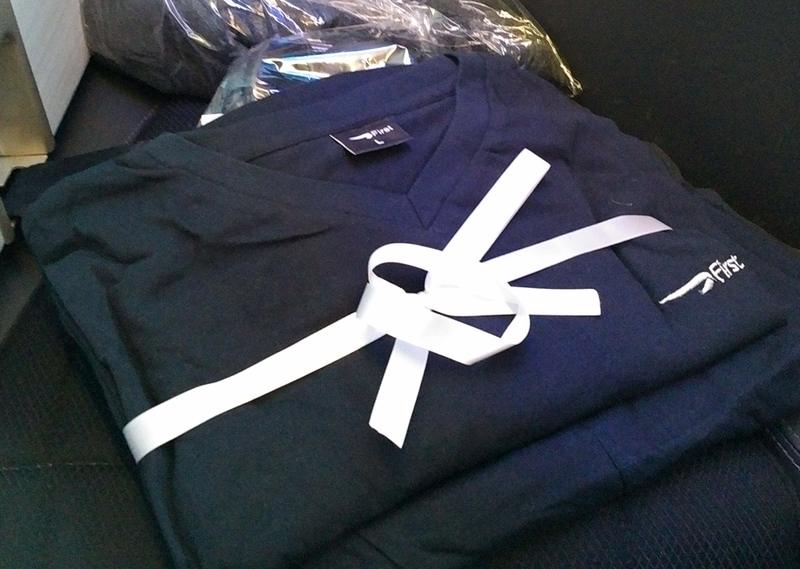 A pair of pyjamas is offered during boarding, comprising a fairly comfortable, dark blue First Class branded product. The amenity kit uses a black Liberty branded case which is quite nice and something one might keep and use in the future. A small cushion and a pillow are provided, along with a reasonably large duvet for the sleep period with cabin staff making up the bed with an under-sheet if so required. British Airways are very mean at serving hot, refreshing towels in first class and I certainly expected a better standard for this. As usual, the British Airways flight deck crew were very chatty and informative, and gave reasonable updates during a 45 mins delay after boarding. Clear and friendly announcements were provided, together with good pre arrival information. The cabin crew service was the highlight of this trip. They were efficient and present in the cabin to attend to customer needs, but importantly doing so without being intrusive. As a relatively short flight, the needs of customers are fairly limited, but staff were on hand to assist when needed. The Cabin Crew Manager goes around to welcome first class customers after departure, although this was very scripted and let down the rather more natural service manner of the other cabin crew in this cabin. 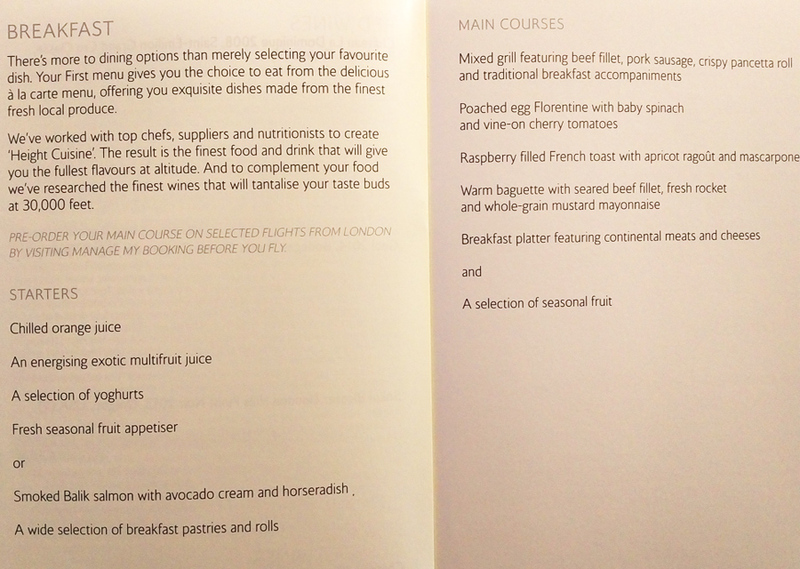 British Airways first class service is overall quite good, the high spots being the cabin staff service. The ground service is fair at Heathrow, although the Concorde Room lacks the first class prestige and exclusivity that many leading airlines offer at their home base airport. 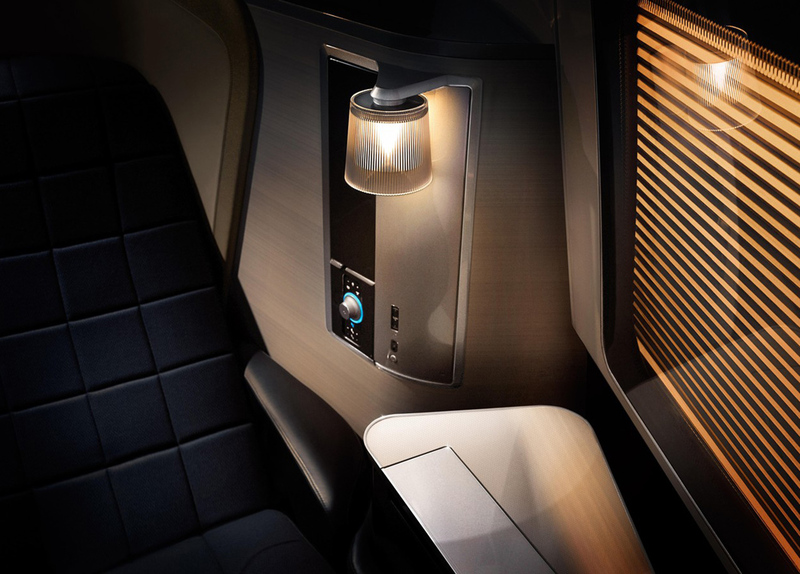 The first class Cabin product is fair to good. The seat is comfortable enough, but the cabin does feel cramped and the seat in flat bed position is not very wide and privacy is also not very good. 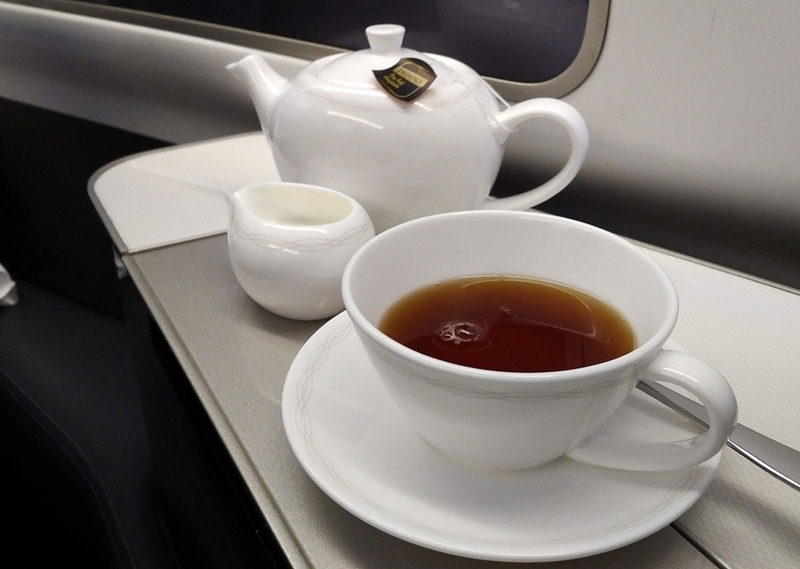 Food and beverages are satisfactory rather than the high point of the trip experience, and along with items such as Inflight entertainment, amenities etc, this is not a leading first class “product” in today’s market.